From bird and insect watching to simply admiring wild flowers here is the story of my 30 Days Wild. 30 Days Wild is a campaign run by the Wildlife Trusts to encourage people to connect with nature and do something wild each day during the month of June. 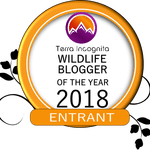 Now I like to think I am generally pretty ‘wild’ and that Wild Barley is the way I tell friends, family and followers about my adventures… But could I find something wild every day for a month? The answer… yes! It started with bird watching from the train on my way back from work and then having swifts whistle past my ears on a mornings dog walk. The first weekend in June, and I was down south visiting family in Salisbury. While wandering through the City we stopped to watch brown trout, chubb and roach in the river. The next day we headed to the cathedral, famous for having the tallest spire in Britain, the largest cloister and cathedral close, a leading example of Early English architecture, it contains the world’s oldest working clock and the best surviving of the four original copies of the Magna Carta. But more recently it has become the nesting site for peregrine falcons, which featured on this year’s Springwatch. So for Day 4 we spent a wonderful morning watching the two adult birds swooping around this famous spire. Back home in Norfolk and a moment’s attention was drawn to the wild flowers on the allotment (not our plot I hasten to reassure Lee). The following evening we explored the darkness of the garden, seeking out spiders clinging to the wall and fence. Once again it was flowers that caught my wild side on Day 7, the daisies scattered over the grass of Melford Common. June 8th World Oceans Day and the birthday of a charity I am proud to say I am a founding partner and a trustee, the World Cetacean Alliance. I may not live right next to the sea, and I may no longer work specifically with cetaceans, but they remain a massive part of me and through the WCA I can channel that passion towards making a difference (I hope!). The following evening and it was a long drive to North Wales, but even from the car there is wildness to be seen. In the dimming light a kestrel hovered, perfectly stationary in mid air, hoping to catch one last meal from the carriageway verge. The weekend in North Wales brought a familiar wild encounter for me, bird ringing. It is something I have done since 2007. I am now an A permit, and absolutely love the process, for the knowledge it brings of each individual bird (moult, ageing, sexing etc…) and the knowledge that I am contributing to the scientific data collection that is helping us understand more about the movement, survival and populations of wild birds. At this time of year the garden birds are dominated by the recently fledged young, but there are also some still ensconced in their nests, almost ready to brave the big wide world. For me, nest recording is a large part of my ringing activities at this time of year. Back to Norfolk once more and the river draws me. Walks along its banks bring a variety of birds and insects. Over the rest of the month the river provides many of my wild moments, from watching stunning kingfishers, photographing beautiful banded demoiselles to quietly observing feeding muntjac’s on its banks. The river also produced one of my highlights of 30 Days Wild. A wander to its shallows on one hot Wednesday, the shoals of minnows draw my curiosity and my GoPro. The 11 second video proved to be one of my most popular Tweets during the month! Plants and flowers also continued to play a part in my wild month. From wild strawberries and my fabulous patch of poppies in the garden, to the wild flower beds created at Thetford Train Station that draws in a variety of insects and birds, and the promised bounty to come of a blackberry bush. Mid-month and sharing my lunch spot with a young, sun bathing woodpigeon was the wild highlight of my day. The first weekend of the month that we spent in Norfolk, found us exploring a patch of Thetford Forest. Warren Lodge, where the warreners once lived looking after the rabbits that roamed over Breckland’s grassy heaths, is now bordered by the man made coniferous forest and the restored open heath where woodlarks soar. Along the forest rides butterflies like the speckled wood dance between patches of sunlight. The Sunday found us as that wonderful site that dominates our ringing at this time of year, the pools and reed beds of Cranwich. Running it as a constant effort site means the team rings there once every 10 days during the spring and summer. But we also have plenty of nests to monitor, from reed warblers to reed buntings. This day a new reed bunting nest was the bonus of the session. A visit from Nonna gave us an excuse (not that we really needed one) to head to the beach and we spent a lovely day searching for shells, following little hermit crabs and marvelling at the wide open skies of the North Norfolk coast. With my little Nature Baby then showing Nonna how to explore Cranwich, I took the chance to try out photographing the blue damselflies on site. Rushing towards the end of the month, and my wild moments included a 7-spot lady bird on the washing, and snails coming out to welcome the rain. And so it came to the 30th of June. 30 Days Wild was coming to a close, and what better way to finish than with the fluffiness and wonderful cuteness of kestrel chicks. And there we have it, 30 Days Wild 2017. What it has taught me is that even on days where I am not out ringing, or nesting, or specifically going somewhere bird watching, nature is all around us. It just takes a moment to stop and look. For sure I am Wild, and I will continue to be Wild in my every day. 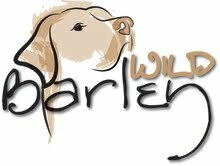 Not only that but hopefully I will continue to share that ‘wildfulness’ with my friends, family and followers of Wild Barley. To see all the images from my 30 Days Wild adventure check out the Wild Barley Facebook page!